We've been posting a ton about the shoegaze scene in Minneapolis lately, but for some reason that area is a hotbed of 90s inspired acts lately. Brilliant Beast just might be my favorite as of yet. Led by siblings Hannah and Jordan Porter (who also share lead vocals), the band released their second album late last year. 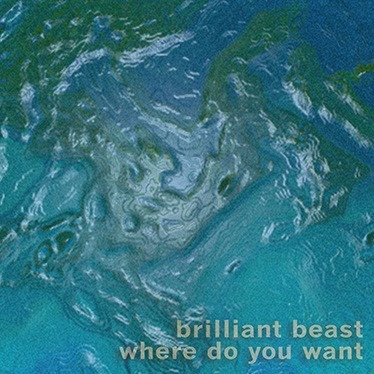 Brilliant Beast somehow join shoegaze with a poppier sound, with just the slightest edge of punk. It reminds me of the earlier, more pop driven period of Built to Spill. The third track, "Nepotism Shakes," is the soundtrack to the most lush dreams you've ever had and is much closer to Slowdive. "Crushdumb" brings back the noise and energy, while still swirling you around in dreamland. You can get some more info on Brilliant Beast at their website. While you're at it, stream their whole album (which is out on Guilt Ridden Pop) at their Bandcamp, and check out the official video for "A Child on Fire" below.